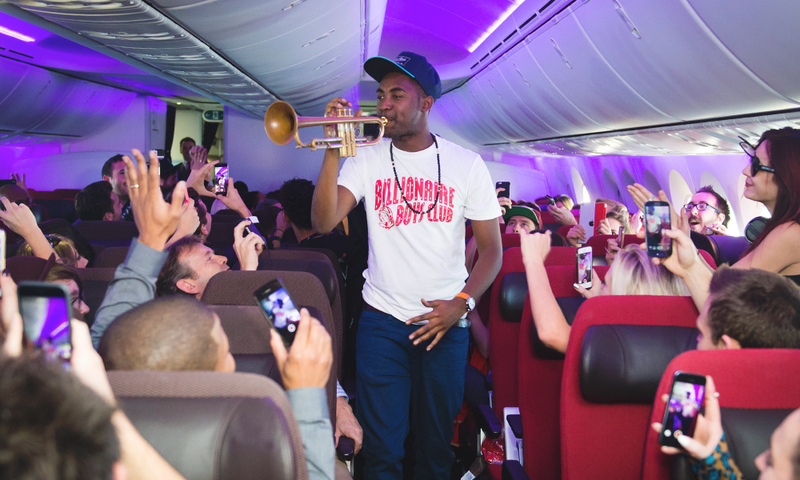 In October 2014, Rudimental & Gorgon City took to the skies to perform in the first ever gig live streamed mid-air from Virgin Atlantic's new 787-9 Dreamliner, "Birthday Girl". Working with our buddies at Cake, we designed and developed the cutting edge digital experience that would deliver content for fans across the globe. The flight itself is an incredible, once in a lifetime experience for those on board. Our job was to ensure that the everyone could be part of the action and not just the 250 passengers on the plane. 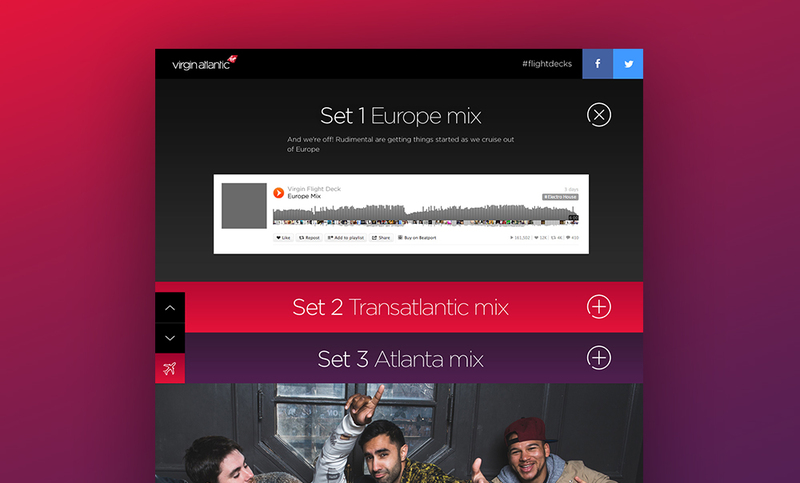 Fans across all social platforms for Rudimental, Gorgon City and Virgin Atlantic were directed to bespoke campaign site to experience the flight for themselves by tuning into the sets, live! The site provided a home for all of the great audio and video content that was produced, as well as the entry mechanic for fans to win a place on board this historic flight during the pre-launch phase. During the live stream we enabled those who weren't lucky enough to win a place on the flight to be part of the action by uploading their images and tweeting using the #FlightDecks hashtag, we then pulled all of the content submitted by those on the flight and users following at home into the site live - creating a visual timeline that was both exciting and engaging. We also provided the technology for both the live streaming (provided by Mixlr) and the caching solution to allow for many simultaneous users (Fastly) - these technology partners allowed us to provide a seamless experience for everyone who accessed the site. Catch Studios is the part of Catch that creates engaging social campaigns. © 2019 Catch Digital. All rights reserved.